The VVIP Addresses is a project that comprises homes with classy architecture and design within a gated community. It includes 2, 3 and 4 BHK apartments with terrace spanning 935-2625 sq ft. The project offers a club, theater, sports stadium with sports facilities like cricket, basketball, table tennis, lawn tennis, billiards, badminton, etc. It also features amenities like gym, pool, spa, Jacuzzi, restaurant and more. The entire development is surrounded by landscaped greens and fountains. There is individual car park with every apartment and also facilities like medical and household are available on call. VVIP Addresses is located at NH-58, Raj Nagar Extension. 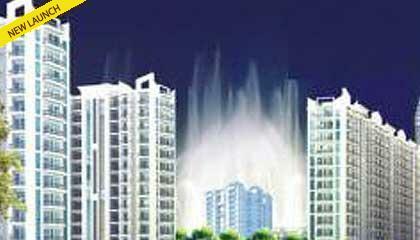 It enjoys proximity to the New Ghaziabad Railway Station and the New Bus Stand Ghaziabad. The Anand Vihar Railways is also quite nearby to it. Major schools and colleges like GD Goenka, DPS, IMT, etc are in the vicinity.